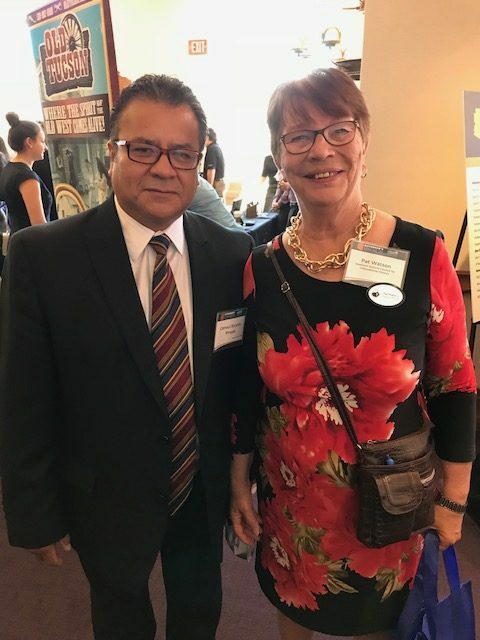 “The Tucson Hispanic Chamber of Commerce hosted the Governor’s luncheon at Star Pass on May 10. 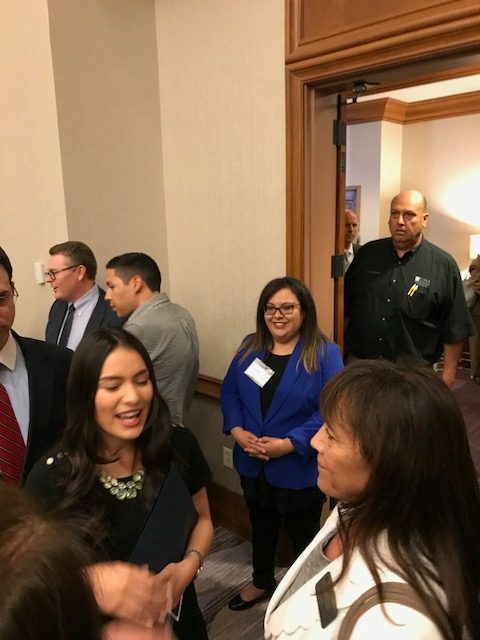 It was a pleasure to be in the company of such a large group of business people from all areas of Tucson and Southern Arizona. Our very own Alma Vanessa Peralta worked hard to help make this event the success it was. Always a smile on her face and professional attitude. This picture of Alma shows her in the VIP room prior to the luncheon. 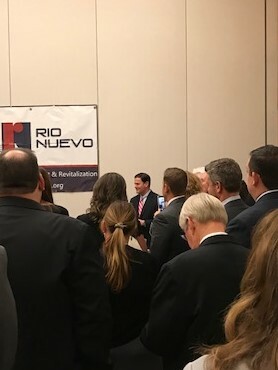 The governor was surrounded by those wanting to hear what he had to say. His address was certainly relevant to the group gathered.